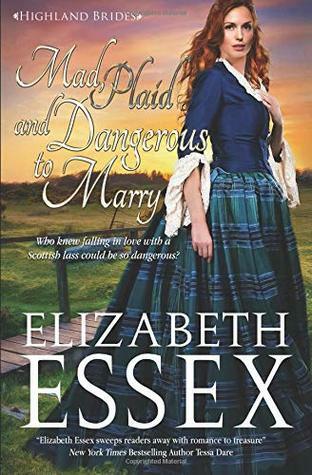 Elizabeth Essex is the award-winning author of critically acclaimed historical romance, including the Reckless Brides and her new Highland Brides series. 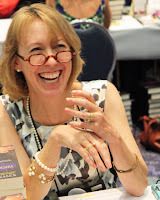 Her books have been nominated for numerous awards, including the Gayle Wilson Award of Excellence, the Romantic Times Reviewers’ Choice Award and Seal of Excellence Award, and RWA’s prestigious RITA Award. The Reckless Brides Series has also made Top-Ten lists from Romantic Times, The Romance Reviews and Affaire de Coeur Magazine, and Desert Isle Keeper status at All About Romance. 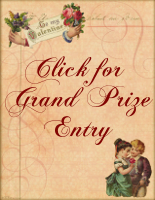 Her fifth book, A BREATH OF SCANDAL, was awarded Best Historical in the Reader’s Crown 2013. Ewan Cameron, Duke of Crieff, has been writing to Lady Greer Douglas since the day they were first betrothed, when he was a stripling lad of fourteen years. Their faithful, long-distance correspondence has changed over time, from news of schooling and travel to a more personal, intimate exchange of thoughts and feelings. This St. Valentines day in particular, the distance between them seems longer than ever. 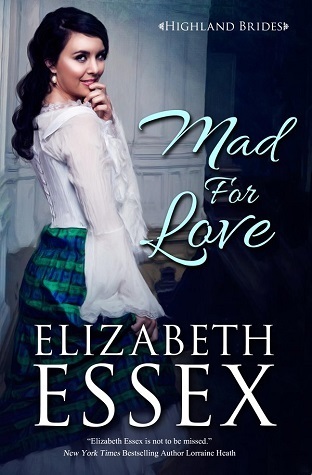 Check out Greer and Ewan's love story in Mad, Plaid and Dangerous to Marry. How would you know your own true love if you didn’t know yourself? For Ewan Cameron, Duke of Crieff, the time has come—his carefully-planned future is about to begin. Heir to a great Highland estate, he will finally meet and marry his long-time betrothed, Lady Greer Douglas, and be happy. But on the way to his wedding, a vicious attack steals everything he holds dear—his home, his happiness, and his every memory. After ten years of faithful correspondence, Lady Greer and her betrothed are two souls in perfect harmony—she has spent an enchanted girlhood in the Highlands preparing become the Duchess of Crieff. But on the day of her long-planned wedding to Ewan Cameron, fate plays a devastating hand. Without Ewan, all hope of happiness is gone. So when she happens upon a devastatingly handsome man injured on the moor, Greer convinces herself he must be her lost duke. She hides him high in the heather-clad hills so he can regain his shuttered memories—and his true love for her. But every step into the past tests their faith in each other and puts their lives in danger as his would-be assassins draw ever closer. Will the power of their love be strong enough to regain their future without losing each other—this time for good? 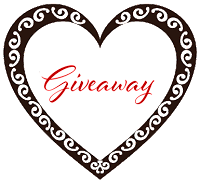 Special thanks to Elizabeth Essex for sponsoring this giveaway. Such longing between these two...I can't even imagine! Reminds me of my hubby and me back in college! We sent letters every week....of course this was long before cell phones! This book has a special place in my heart, because I just adore love letters. 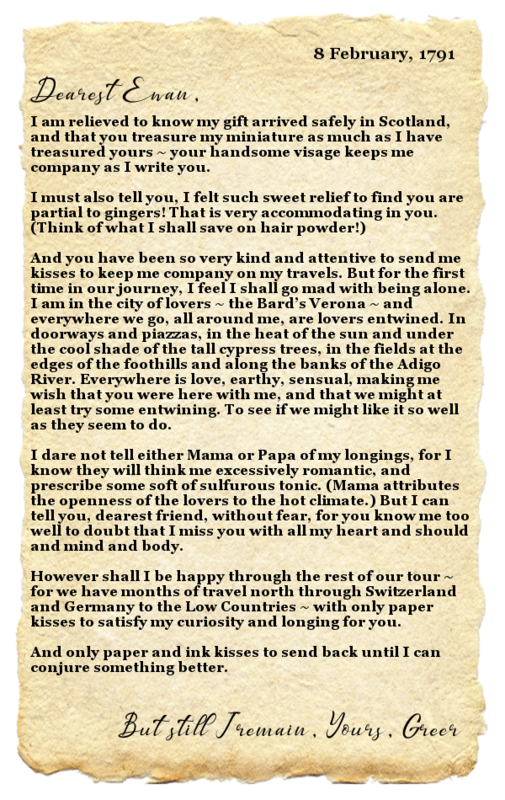 My own Indispensable Mr. Essex and I carried on quite a correspondence of our own in the years before our marriage, when I was an archaeologist traveling the world. I wrote over 400 letters between Ewan and Greer, although only about 40 of them could make it into the book. So glad I got to share two more here! Thank you, Louise! I can't wait either!!! Lucky for you, the whole series of the Highland Brides are on sale, with the first book, MAD FOR LOVE, up for FREE for a limited time! You had me at "paper kisses" ! HAHA! Lilah, so happy to provide you some reading catnip! 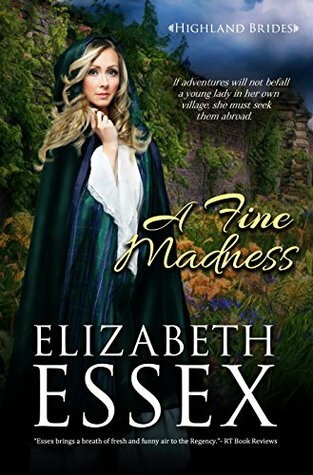 There are also some "passionate Italian kisses," as well as some "plain, heartfelt Scot's busses" in the mix between the chapters of MAD, PLAID & DANGEROUS TO MARRY. Hoping you like them all! Huzzah! A book with a Georgian era setting! Plus men in heels, powdered hair, outrageous clothing for both men and women--what's not to like? I love the flirtatious banter in the letters. Can’t wait to read how Ewan regains his memories. So glad to hear, K—I LOVE writing banter! 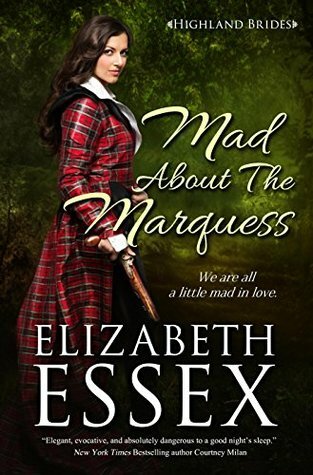 In this story, it's confined to the letters, but in other books in the series, especially MAD ABOUT THE MARQUESS, the banter is as sharp and steely as a dueling blade! Lots of good banter in the series started, MAD FOR LOVE, which is free for s limited time, so snap that up while you can! I love the premise of this story and of course love letters always warm the heart!! What sweet, charming letters. Can't wait to read the book. Too bad I can't afford to buy books. I would LOVE to read this one. 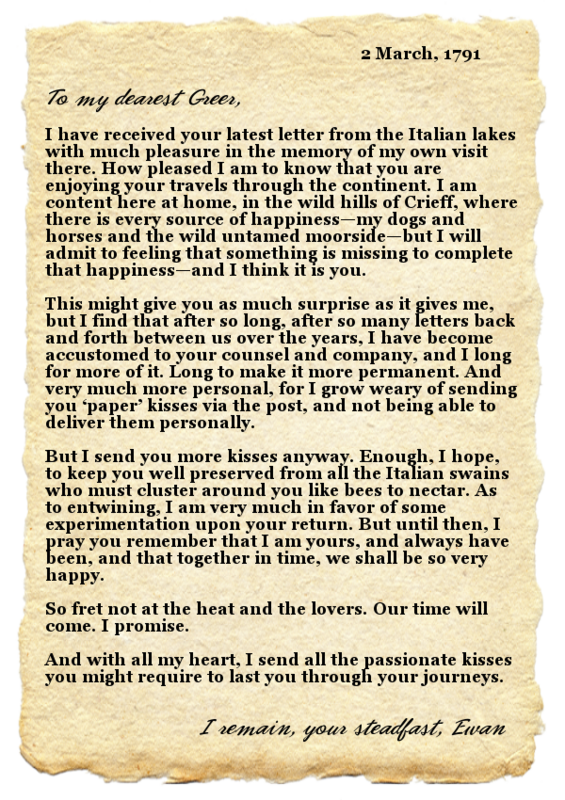 I want to receive a love letter like that! lol I love your books and can't wait to read this one! !